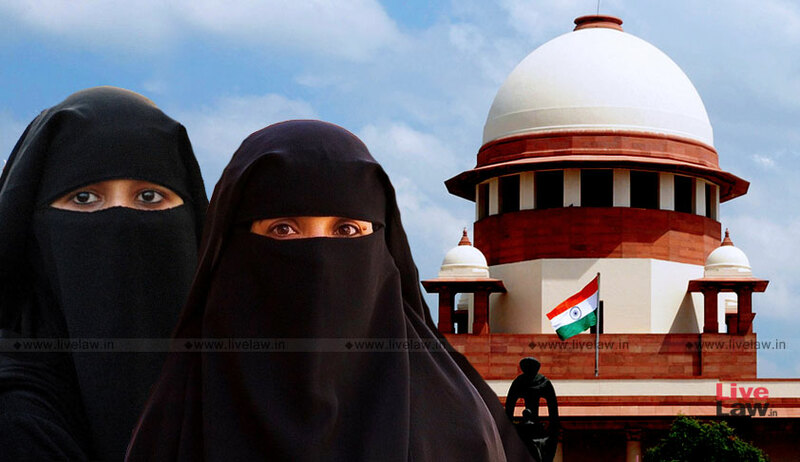 The Supreme Court bench of Chief Justice Ranjan Gogoi and Justices K. M. Joseph and Hemant Gupta on Friday was not inclined to entertain the pleas challenging the constitutionality of the Muslim Women (Protection of Rights on Marriage) Ordinance, 2018 which imposes a maximum sentence of 3 years on a Muslim husband for pronouncing Triple Talaq. “What was the date of the ordinance?”, inquired the Chief Justice. Senior Counsel Raju Ramachandran insisted that the ground for challenge appears in the ordinance itself, in view of Article 123 envisaging the need for “immediate action” in issuing an ordinance, and in the present instance, with the practice of Triple Talaq having been struck down by a constitution bench of the Supreme Court in Shayara Bano v. UOI (2017) there was no surviving action, let alone an “immediate action”. “This easy resort of Ordinance is a fraud on the constitution”, urged Mr. Ramachandran. “There is no need to go so high as to call it a fraud. If we were to issue notice on the petition but not stay the operation of the ordinance, of what benefit would it be?”, remarked the Chief Justice. “In the interim, prosecutions (of Muslim husbands) could happen which are not tenable in law....”, persisted another advocate. “If you want to press the petition, we will dismiss it. If you want to withdraw, then withdraw”, stated the Chief Justice bringing the hearing to an end. The Muslim Women (Protection of Rights on Marriage) Bill, 2017 was passed in the Lok Sabha in December last year. The Bill, however, did not see the light of day, prompting the Centre to take the Ordinance route after introducing a few changes to the Bill. A petition challenging the Ordinance has now been filed by Samastha Kerala Jamiathul Ulema, a religious organisation of the Sunni Muslim scholars and clerics based in Kerala, through Advocate Zulfiker PS. It essentially demands that the Ordinance be struck down for violation of Articles 14, 15, 21 and 123 of the Constitution of India. It asserts that Article 123 enables the promulgation of ordinances only in instances requiring “immediate action”. It then highlights the fact that with a Constitution Bench of the Supreme Court having struck down the practice of triple talaq as unconstitutional in Shayara Bano v. Union of India, “there was no surviving action, let alone “immediate action” warranted to reiteratively abolish the practice and penalize Triple Talaq by way of an Ordinance under Article 123”. The petition further questions the intent behind the Ordinance, asserting that the same has not been passed with the intention of abolishing Triple Talaq, but for punishing Muslim husbands. It also points out that the penal provisions were introduced without undertaking any study into the extent of prevalence of the practice. “Section 4 imposes a maximum sentence of 3 years imprisonment when a Muslim husband pronounces Triple Talaq. The offence is cognizable and non-bailable as per Section 7. Creation of an offence may be the prerogative of the legislature. The Government is duty bound to act reasonably and sensibly, not merely in administrative matters but sovereign matters. To Petitioner’s knowledge there is no informed assessment or study that forms basis for the Central Government to have created this offence. That some isolated instances of the practice have occurred despite the in-rem judgment of this Hon’ble Court does not imply that a penal provision is required to be immediately enacted to prevent the practice,” it explains. On such grounds, the provisions have been challenged as being arbitrary and hence, violative of Article 14 of the Constitution of India. Besides, the petition points out that the offence is confined specifically to “Muslim husbands”, even though the utterance has no legal effect after the Shayara Bano judgment. The petition finally warns of the Ordinance leading to “polarization and disharmony in society”, emphasising on the fact that it applies to a specific class of people based on religious identity. “…the impugned Ordinance applies across the country and has thus has national ramifications. The Ordinance has introduced penal legislation, specific to a class of persons based on religious identity. It is causative of grave public mischief, which, if unchecked, may lead to polarization and disharmony in society,” it submits.